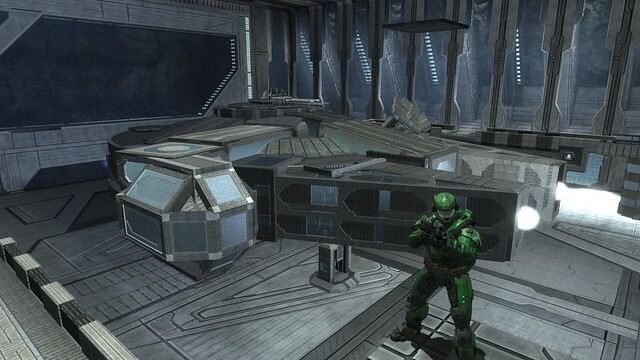 Got any cool pics/vidoes that you've taken while playing Halo, Black Ops, etc? Here's where to post 'em. Lol, nice. But is that Kat's helmet I see that you're wearing? Btw, here's a few more from me. Taking on the campaign mission the Package. looks cool i always liked seeing my spartan give the go signal with the odsts as well. Thanks dude. I was trying to match my Spartan's color coordination with that of Clone Commando Sev. I even had my four-letter digit thing as his name. Wasn't really sure about what helmet, shoulder pads, and chest piece to put so that it would match the armor configuration too so I just left it to what I already had. Lol, nice. I'm just not a big fan of the Air Assault helmet, though. Mainly cuz it reminds me of Kat. And I see that you stole my color coordination too. Nova Hawk wrote: Lol, nice. I'm just not a big fan of the Air Assault helmet, though. Mainly cuz it reminds me of Kat. And I see that you stole my color coordination too. Lol, riiight... Oh well, I changed my color coordination now so that it matches Agent Washington from Red vs Blue. This one I thought was just epic. Perfect timing. I've never really got into brute weapons, I prefer to stick with the UNSC weaponry. The only Covenant weapons I'll use is the needler, plasma sword, and plasma rifle. I need your guys' opinion on my latest armor configuration/color. So what do you think? Keep it or do something different? I think it looks very good, i like big pauldrons. Lol ya it was orange but then I changed the colors. That's kinda creepy how Bungie can do that when I took the link off my user profile. I've seen so many star wars related forge maps. Like a complete ISD with interior and a deathstar. TK432 wrote: Cool, deathstar hangar? I was actually thinking of doing Docking Bay 34 but maybe I'll do that instead. And ya, I have those ISD and Death Star interior maps. If you have anymore, can you send them to me?? Additionally you can always do an ingame search with "star wars" as tag. I downloaded most of the maps there.